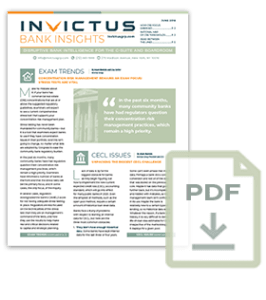 The December regulatory statement on CRE challenges outlined how banks can survive an economic downturn, even with concentrations. The regulators advised that they expect bank boards to be involved in setting proper risk management policies and procedures. Boards of directors or the appropriate board committee must approve concentration limits and review credit risk management practices and underwriting standards. Had processes to review appraisal reports to support appropriate market value conclusions.